The Double-Headed LARP Staff Mace is quite the dire weapon indeed. Double-ended fury is yours to wield when arming yourself with this weapon, allowing you to lash out and strike your foes with impunity, with whatever end is closest! 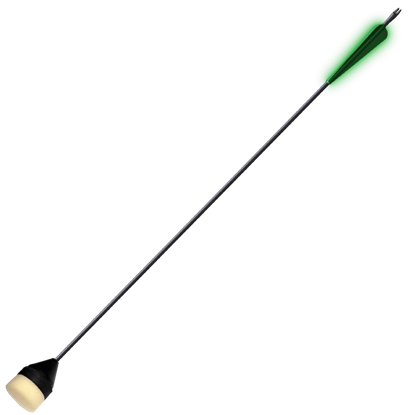 Light-weight and easy to wield, this staff takes the shape of a quarterstaff that has been reinforced at each end. The shaft has a Woodgrain tone and an octagonal shape, with gray iron bands and rivets near the tips. At each end is a mace-head set with six flanges for optimum damage in battle. It is crafted from an extremely durable foam that does not shred, which has been sealed with a strong coating of latex. 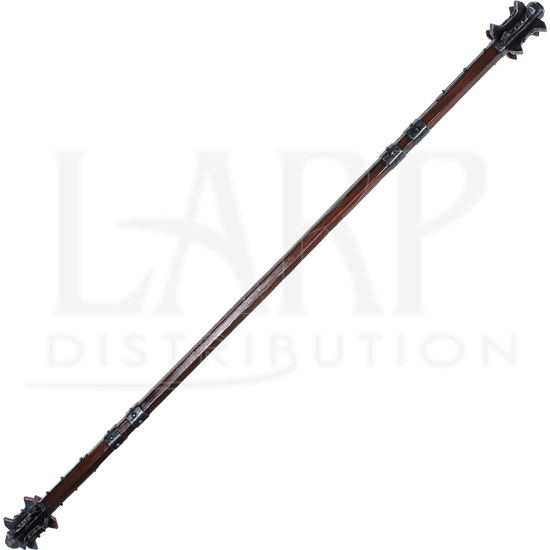 As safety is always a concern in LARP, this weapon features a round fiberglass core that bends and flexes. The core also possesses a durable Kevlar cap for added protection, both against the core and for when the weapon is used to stab. Please note that the wood tones on the staff can vary slightly from what is shown above. Unfortunately, we are unable to pick specific color combinations for orders. 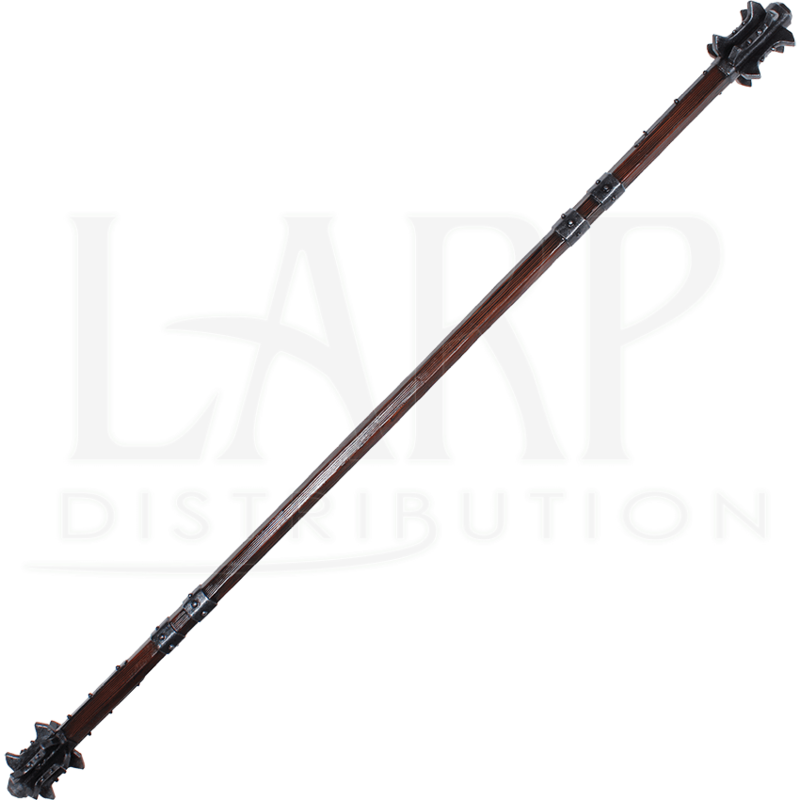 The Double-Headed LARP Staff Mace has an average overall length of approximately 74 inches. Please be aware that measurements may vary slightly, as it is a handmade item. Latex weapons do need to be maintained to a certain degree. We offer a Maintenance Silicone in our LARP Accessories section. We recommend you use the silicone on a regular basis. It has an easy, spray on application. The silicone will keep the coating flexible and increases the lifetime of the weapon. It also prevents the coating from drying out, and improves resistance to wear and tear. 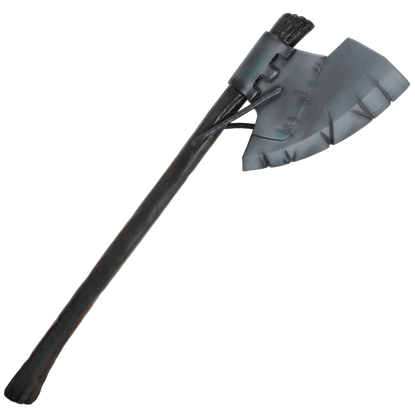 Orc weapons are typically simple in form, and this Orc LARP Axe only supports that fact, although simplicity does not take away from this weapons efficiency. It is also perfectly safe to use, being crafted from LARP safe materials. Swashbuckle your way through the battlefield, or wield your knightly rapier with finesse when you wear the Aramis Shirt. 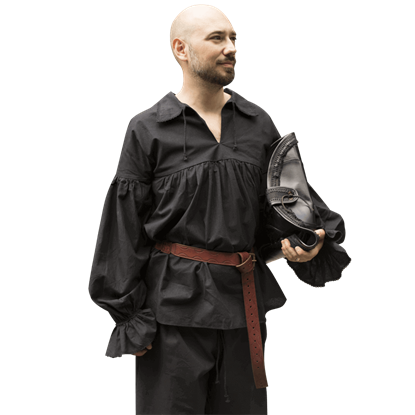 This versatile renaissance inspired shirt is great for a wide variety of historic reenactment or LARP looks. 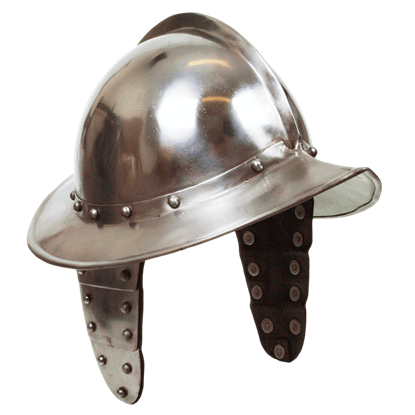 Originally hailing from the mid-16th century, the morion was a helmet that became fairly common, thanks to its efficient protection. This Comb Morion - Steel recreates the form of this age-old helm, as well as its protective strength. Our potion pouches are a must for any LARP character who is a master of magic. 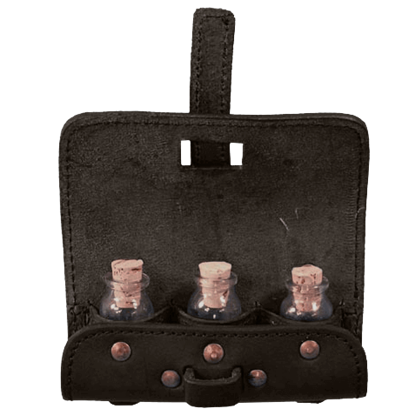 There are three small clear potion bottles that are held securely in a leather pouch. Fill them up with your favorite enchanted mixtures.